Equal parts brilliance and common sense, the Chemex remains a staple in every coffee enthusiast's arsenal. Its design has endured, unchanged (wood handle, leather cord, tapered glass and all), since its invention in 1941 by Peter Schlumbohm. Schlumbohm’s designs were characterized as “a synthesis of logic and madness,” and we're inclined to agree. 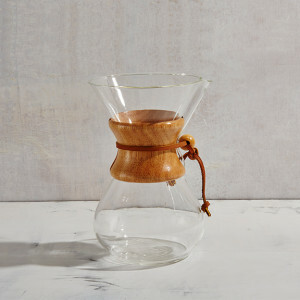 Coffee from a Chemex is very similar to that from a drip, but there’s more room for error. To guarantee the best results, grind your beans more coarsely than you would for a ceramic drip, and offer extra attention to the pour rate. This level of care yields a delicate and nuanced coffee, with plenty left over to share with friends. Note: The amount of coffee and water varies depending on the type of coffee you are brewing and your preferred strength. As a starting point, we recommend using 50 grams of coffee and 700 grams of water (about 25 ounces), and then adjust according to your taste. Weigh out the coffee and grind to a coarseness resembling sea salt. 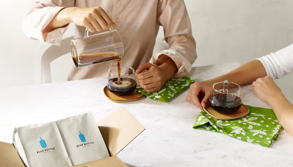 Unfold your filter and place it in your Chemex, ensuring that the triple-fold portion is facing the pour spout and lays across without obstructing it. Fully saturate the filter and warm the vessel with hot water. Discard this water through the pour spout. Pour your ground coffee into the filter and give it a gentle shake. This will flatten the bed, allowing for a more-even pour. There will be four pours total, and this is the first. 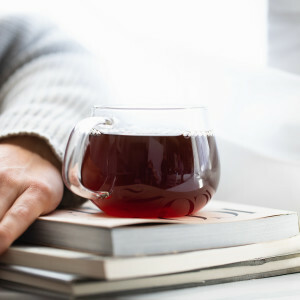 Starting at the bed’s center, gently pour twice the amount of water that you have coffee into your grounds (for example, 50 grams of water if you have 25 grams of coffee). Work your way gently outward, and avoid pouring down the sides of the filter. You’ll notice that adding this amount of water causes the coffee to expand, or “bloom.” Allow it to do so for 45–55 seconds. A solid bloom ensures even saturation. Pour water in a circular pattern starting in the center. Spiral out toward the edge of the slurry before spiraling back toward the middle. Avoid pouring on the filter. Allow the water to drip through the grounds until the slurry drops 1 inch from the bottom of the filter. You should use about 200 grams of water for this pour. Repeat the same pour pattern as in Step 6, adding water in 200-gram increments. Repeat once more, allowing the water to percolate through the grounds until the slurry drops 1 inch from the bottom of the filter before beginning the next pour. Allow the water to drip through the grounds entirely. The brew should have taken between 3.5–4.5 minutes. 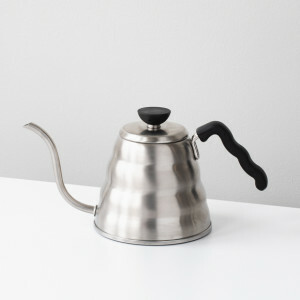 If the brew was too fast, consider using a finer grind or a slower pour rate next time. If the brew was too slow, consider using a coarser grind or a faster pour rate. Pour into a warmed cup, serve, and enjoy. Empty contents of envelope into filter and give it a gentle shake. This will flatten the bed, allowing for a more even pour. There will be four pours total. First, start your timer. Beginning at the bed’s center, gently pour about ½ cup (100 g) water over grounds. Work your way gently outward, and avoid pouring down the sides of the filter. 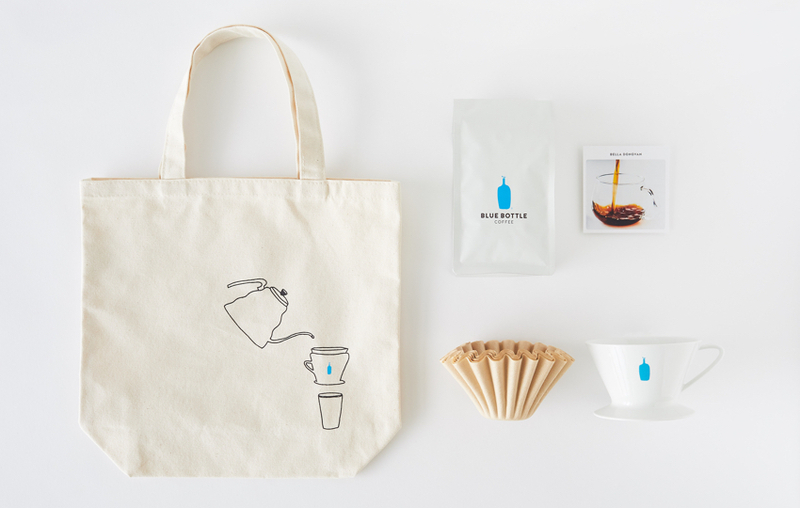 Pause 30 seconds so coffee can “bloom.” A solid bloom ensures even saturation. Pour about ¾ cup (150 g) water in a circular pattern starting in the center. Spiral out toward the edge of the slurry before spiraling your way back toward the middle. Your total water weight should reach 250 grams. Pause to allow the water to drip through the grounds until your timer reads about 1:30–1:45. Repeat the same pour pattern as in Step 5, adding about 1 cup (200 g) of water. Your total water weight should reach 450 grams. Allow the water to drip through the grounds until your timer reads about 2:45–3:00. Repeat once more, adding the remaining water, about 1 cup (200 g) of water, to reach a final water weight of 650 grams.